Vorne signiert von Pelé und Mr. Brainwash.Verso datiert und mit Fingerabdruck von Mr. Brainwash versehen. 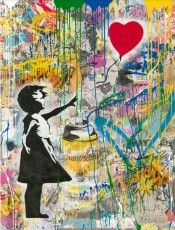 Signiert und nummeriert. 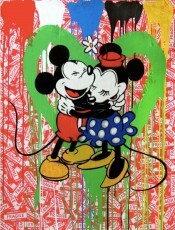 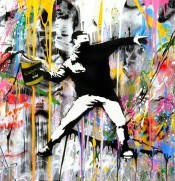 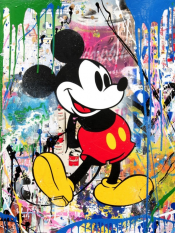 Street Art enigma Mr. Brainwash fervently celebrates the King of Football in this skillfully crafted screenprint. 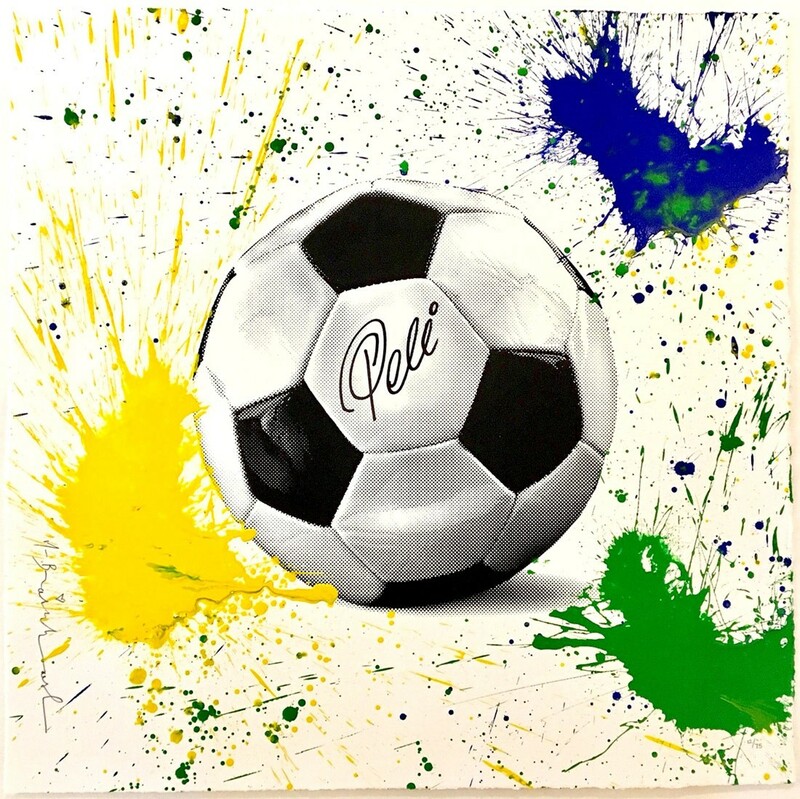 Using his classic hybrid between Grafitti and Pop Art, the artist manages to express the energy and spirit of Pelé with just a few paint splatters in Brazil’s iconic team colors.